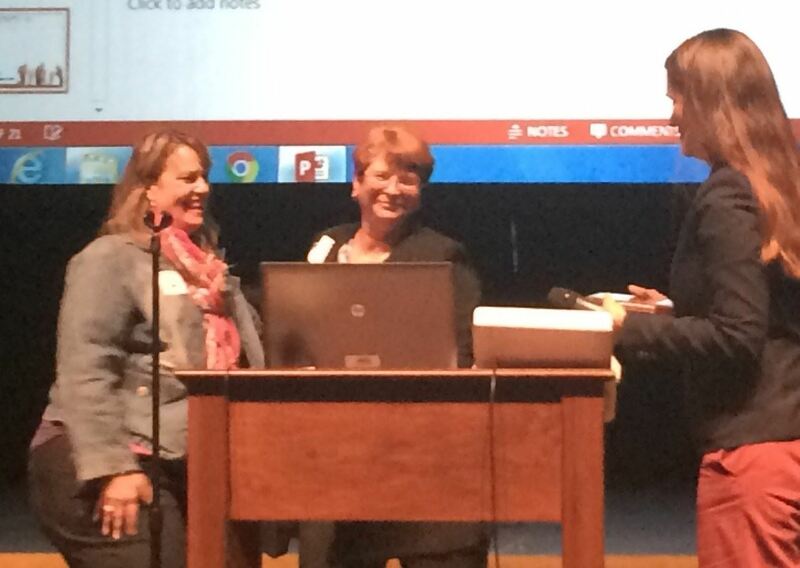 Cathy Hower (L), Candice Highfield (C), and Pia Houseal-Allport (R) at the 2015 PASSWP Conference. Ms. Cathy Hower receives social worker of the year at Pennsylvania School Social Work Personnel conference. On Friday, October 23, 2015, PASSWP held its biannual conference at Milton Hershey School where over 120 school social workers came out to participate in networking and professional development. One social worker, Cathy Hower stood out among her peers and was recognized as the Social Worker of the Year. Hower received the award for her long standing career as a social worker at the Lancaster Lebanon IU 13. Her career has expanded over 35 years of service. She began working in the child abuse unit at Lebanon County Children and Youth Services. Hower holds a Bachelor degree in Social Work and a Master’s equivalency in Special Education, both from Millersville State University. She has worked as a Home and School visitor for Lancaster Lebanon Intermediate Unit 13 for the past 30 years. She is a strong advocate and resource for students and families. She has advocated for special education students with multiple disabilities. Her clients hold a great deal of trust in her and feel supported by the work she does with them. She is also an encouraging mentor to other social workers. Hower was recognized by PASSWP as the 2015 School Social Worker/Home & School Visitor of the Year. Thank you, Cathy, for your hard work and dedication to the children and families of Pennsylvania!